When it comes to new games in development or those that are unfinished, s2325 on the EAB forums is certainly no stranger in showing off the latest Amiga titles that have yet to see a full release, even on many of the official channels. Today's game is certainly one that looks very much like Arknoid but has some unique differences that may appeal to even the hardiest of bat 'n ball retro gamers. 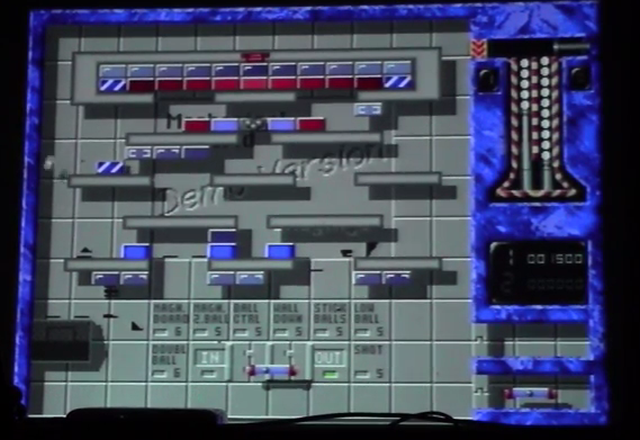 Mentioned during the AmiCon Anniversary 30 Evander Game development by Michael Sáránszki, this Amiga game features the usual bouncing ball antics with smashing blocks, but unlike falling power ups, a car comes out and drags the enhancement into an entry point at the bottom of the screen. It certainly looks like it could be a real blast on the Amiga, but because I don't speak the language I'm unable to completely translate what is being said such as release dates or a full name title. ( If anyone can, please comment below ).